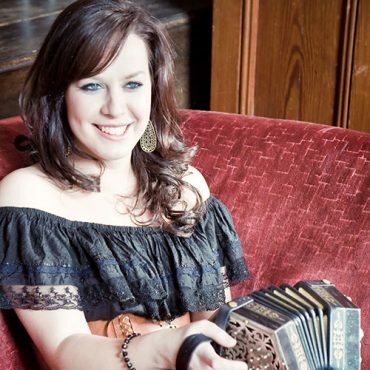 Edel Fox is a concertina player from Miltown Malbay Co. Clare. She began playing at the age of 7 and was fortunate to be brought up in an area and environment where traditional music was in abundance. Edel learnt much of her music from concertina players Noel Hill, Dymphna O’Sullivan, Tim Collins and Tony O’Connell as well as local musicians such as Pete Haugh, Michael Mahoney and Peadar Crotty. Over the years, Edel’s playing has been hugely influenced by the music and recordings of Willie Clancy, Bobby Casey, Junior Crehan and Mrs. Crotty, to name but a few. Edel spent much of her teenage years playing with, and learning from Jackie Daly, who she cites as one of her influences. In 2004, Edel was awarded the TG4 Gradam Ceoltóir Óg na Bliana (Young Musician of the Year). Since then she has travelled extensively as both a teacher and performer of the tradition. She released an album to critical acclaim with Ronan O’Flaherty in 2006. Edel spent some time studying in the Irish World Academy of Music and Dance at the University of Limerick where she received a B.A in Irish Music and Dance in 2007. Edel is a recent graduate of the M.A in Music Therapy. 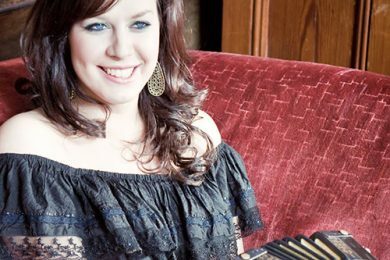 In addition to her work as a music therapist, Edel continues to teach concertina and perform extensively in the South-East of Ireland, where she now lives. Edel released her extremely popular debut solo album “Chords and Beryls” in 2010.